For the 12th year running, Heaven Hill Distillery has released a limited-edition whiskey under the Parker’s Heritage Collection line. This one might very well be the most unusual whiskey in the entire lineup: Bourbon finished in barrels that once held orange curacao liqueur. The 2018 edition showcases the versatility that Heaven Hill’s 1.4 million aging barrels provide for an ultra-premium, innovative Bourbon. Aged for seven to eight years in the upper floors of Rickhouse Q, the Bourbon was then aged for four months in barrels that previously held French orange curaçao liqueur. 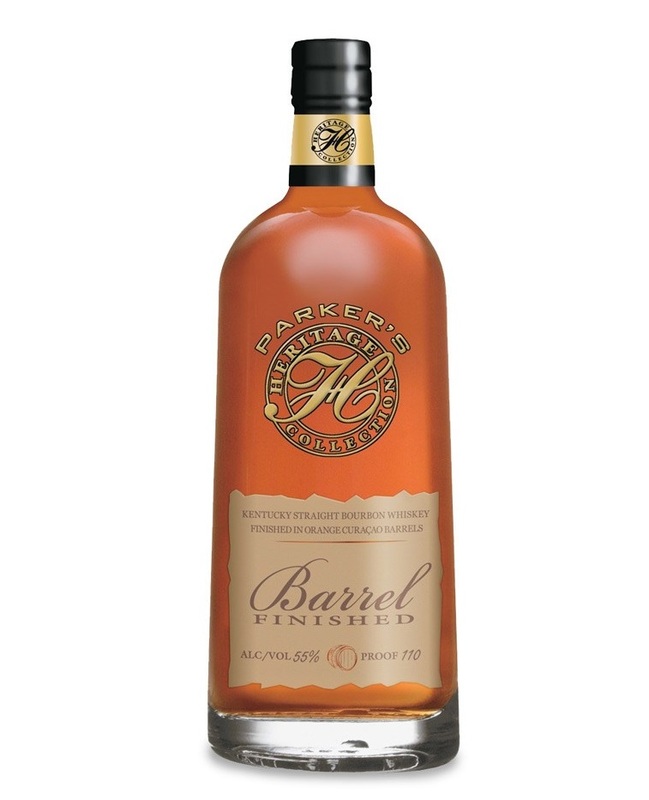 The orange curaçao finished offering is the second barrel-finished Bourbon in twelve years of the annual Parker’s Heritage Collection series. Master Blender Alain Royer also partnered on a previous edition, which featured a Cognac finished Kentucky Straight Bourbon Whiskey. As with the last five releases, Heaven Hill is donating a portion of proceeds from each bottle sold to the ALS Association. ALS took the life of Master Distiller Parker Beam in early 2017. The distillery has raised over one million dollars toward ALS research and patient care to date through the sale of these whiskeys. Let’s give this thing a try! As you might expect, the nose is intense with orange notes. Clear and clean, the oily aromas eventually give way to some secondary notes of vanilla and a bit of barrel char — although the citrus notes overwhelm everything. The palate again is redolent with the essence of orange liqueur, with a touch of lemon in the mix. It takes a bit of time but some more traditional bourbon elements emerge after the rush of orange fades a bit (or perhaps as you get used to it): spice, wood-driven elements, and a bit of chocolate are all in attendance. The finish is — you guessed it — impregnated with sustained, lingering orange, lightly spicy at times. While it isn’t overwhelmingly sweet or syrupy, it’s hard to get past the citrus component here, which is heavy in every sip. Drambuie goes west? That’s not an unfair comparison, and, to be honest, purists will utterly hate this whiskey in the same way that many of them can’t stand that Scotch-based liqueur. I’m more on the fence: While it’s a wholly nontraditional bourbon, it’s got a lot of unique charm, and it’s nice as a liqueur-like after-dinner sipper (with no indication at all that it’s bottled at 55% abv). This release probably won’t explode on the aftermarket the way some previous PHC bottlings have, but I have a hunch it’s something I’ll dip into from time to time when a particularly unique mood strikes. Your mileage may vary.